Encore Care is our custom brand of support that encompasses all of our client support offerings. We offer a team of specialists as part of your extended team to help you when you need it most. We offer a number of Encore Care Programs that cover all our Dynamics Products, check out the infographic below to learn more! 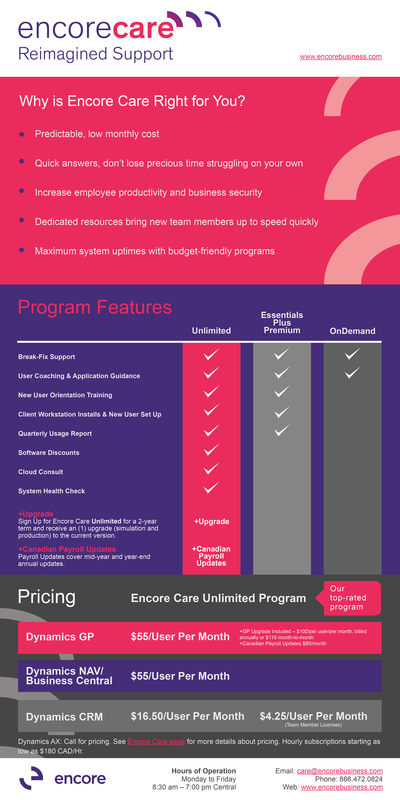 To see a PDF click here: Encore Care Infographic. Go here to find out more about Encore Care!